As this blog is new at this stage, I thought I would make some general interest entries, providing some information on some popular observations which are experienced in the North. Finches are arguably one of Australia's most popular endemics, and in the Top End, Many come to see the Gouldian Finch. Whilst searching for these Gawdy little beauties, often other species are seen and enjoyed. 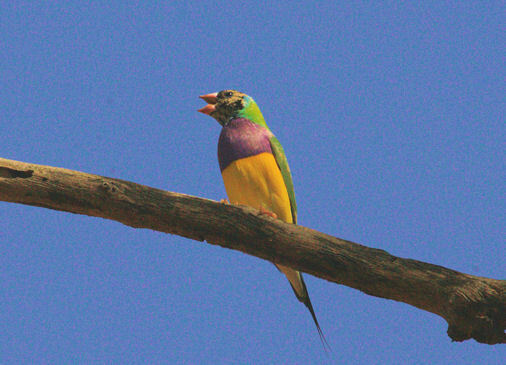 There are sites near Darwin to see Gouldians, however, there have been good numbers around the Katherine Region in the last 2 years. 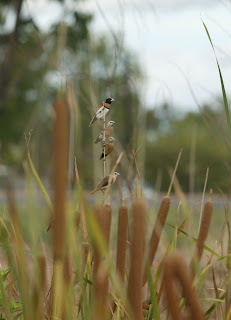 These images are actually taken within the town limits of Katherine in 2011. 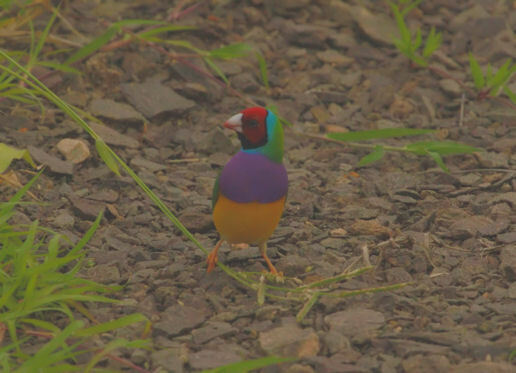 Anecdotally, it has been stated that Gouldians haven't been seen in the town for about 30 years. Indeed, numbers around Edith Falls and Pine Creek were very high and flocks of 100-150 individuals was regularly seen in 2011. 2012 was not quite so abundant however. Having said this, most trips out targeting them were succesful. My observations are that; the later in the year, the dispersal increases, (especially when there is some rainfall). 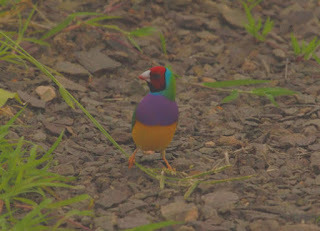 Individual Gouldians are often found present with small flocks of Long-tailed and Masked Finches, and be careful not to overlook the juveniles! 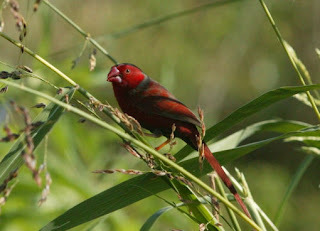 Crimson Finches (Race phaeton) are common from Darwin to Katherine and across to the West. Fogg Dam is a great place to see them and also other Pandanus-lined waterways around Katherine and Kakadu. In mentioning water, I must remind you to be cautious around the waters edge for the possibility of the presence of crocodiles! I find it interesting to note that most field guides fail to note the distinct black hood of the local population of Crimson Finches, particularly prominent on adult males. 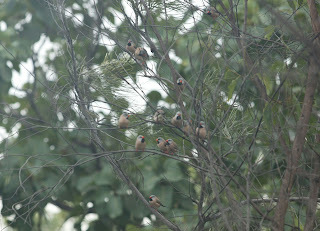 The Red beaked race (Hecki) of the Long-tailed Finch is often abundant in the woodlands of the Top End. Any time from January through to June, they may be seen nesting in a grass nest mid-way along branches. The entrance is usually on the side. Masked Finch (Race personata) is a common resident around Katherine. Always a smart looking bird and enjoyable to observe. The long nasal call can sometimes sound similar to the Double-barred Finch so its worthwhile checking around and not assuming that you are hearing DB's. 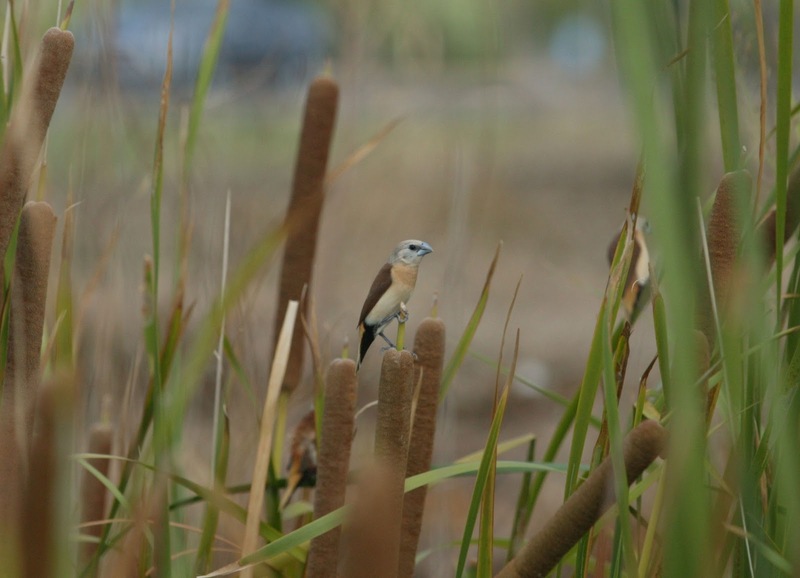 When scouting for the finches around the Katherine Region, it is often worthwhile surveying heavily grassed areas or reeded creek-lines for the Yellow-rumped Mannikin. 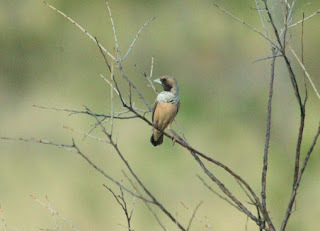 A Top End Endemic which can be locally common. I find that if there is a large number of Chestnut-breasted M's, often a scan through them will reveal 1 or 2 individuals. I have found that the drain across from the Katherine Visitor Centre (full of Kumbungee reed), has been a place where there occasionally show up. Mannikins tend to pop up out of the reeds in a flock early in the morning, perch at the top for a little while and then fly off, returning occasionally in numbers throughout the day, but the greater flocks return late in the afternoon. 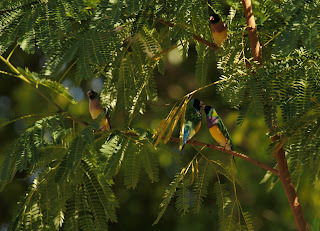 Note the Chestnut-breasted and the Yellow-rumped together in the pic. 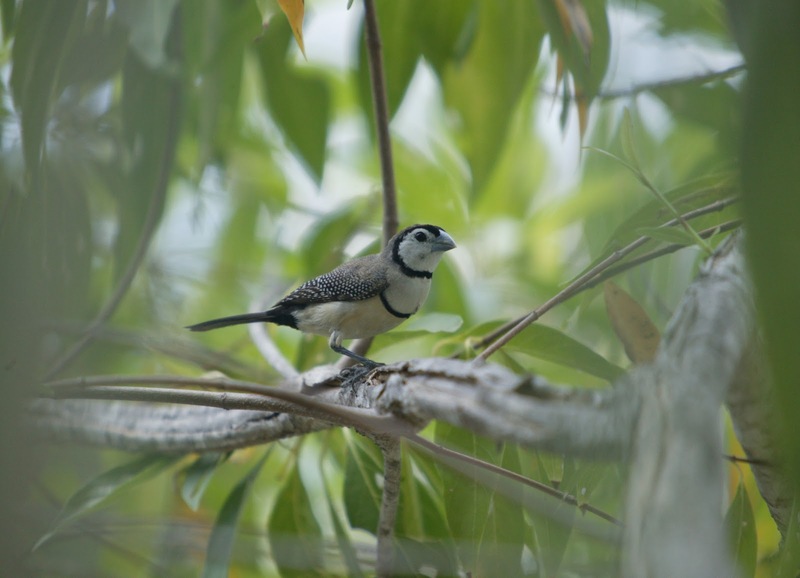 The less common Pictorella Mannikin can also be found in the area around Katherine and out toward the West. Woodland with a thick grassy understorey present is the main habitat for them. I have only seen individuals present with other finches. The Gregory National Park over in the Victoria River District is a good place to find them. 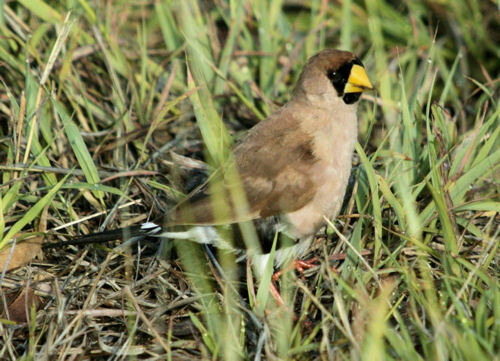 By far the most common Grass Finch you will encounter is the 'owl-faced' Double-barred Finch (Race annulosa). 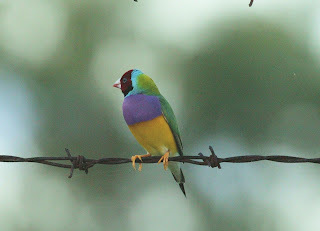 Often vocal and in flocks of at least 10+. I hope you have got something out of that info. 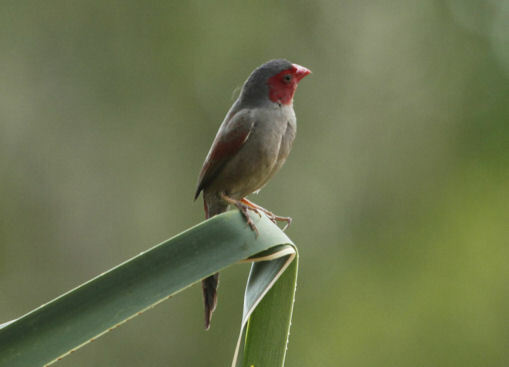 I would recommend that after the Wet Season (April through May), is a good time to observe Grass Finches, due to the seeding grassesin the savanna's. 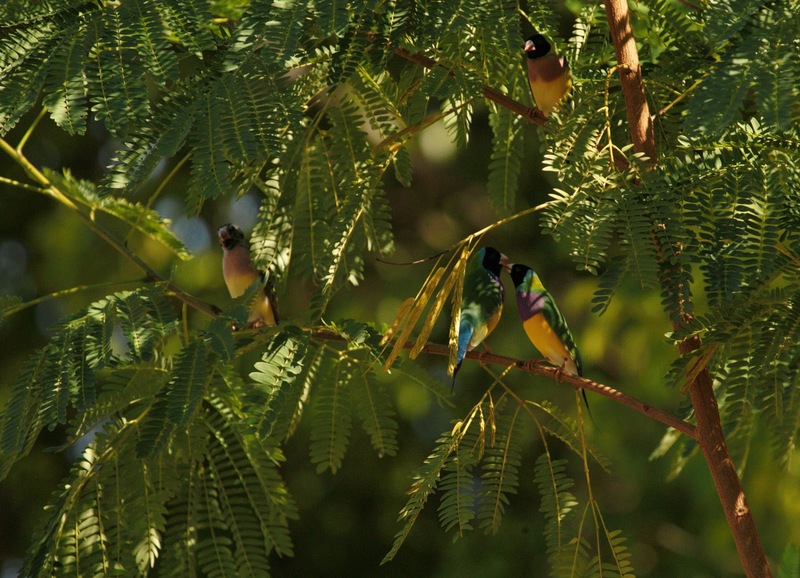 Although I can't disregard the Gouldians which showed up to enjoy the seeds from the local kooch which sprouted and seeded after the rains in November around the Katherine streets. During the drier periods, (June through to October), small pools of shallow water with a shady perch nearby (for refuge) are areas where Grass Finches may appear. Happy to pass on any more information to anyone. Just drop an email (from the profile) or call my office mobile 0427 067 154.